What hampers the film is, naturally, the bias. Here is a man without flaws, and this results in a one-note propaganda project. It’s a shame because there’s some genuine craft on screen. The film is shot skilfully by Sudeep Chatterjee, and early scenes of Thackeray’s cartoons popping from the page are nicely done. But it’s all in service of a skewed narrative.I’m going with two out of five for Thackeray. If there must be a sequel, it calls for more honesty, less halo. A fitting tribute to the Supremo… Is engrossing for most parts… Taut screenwriting + Abhijit Panse’s skilful direction + Nawazuddin Siddiqui’s sterling act makes it a compelling watch… Watch it! On the whole, Thackeray has masala for the audience in Maharashtra mainly. Outside the state of Maharashtra, the film stands bleak chances despite a National holiday today (January 26) due to Republic Day. Collections will show a big jump in Maharashtra today. The film has opened in Marathi also and it will also score in Maharashtra. This is either an oblivious or blatantly self-aware film, a work not of propaganda as much as it is a work of pride, celebrating a legacy of violence. In an early scene the leader jeers at the idea of manhood as being measured by the width of a man’s chest, and later the film goes from black and white to colour with one flower turning orange, a shot that cruelly and unmistakably mocks the end of Schindler’s List. Thackeray is an alarming film, one that works only as a cautionary tale about how ugly hate speech can be. Saying revolting things does not make a revolutionary. 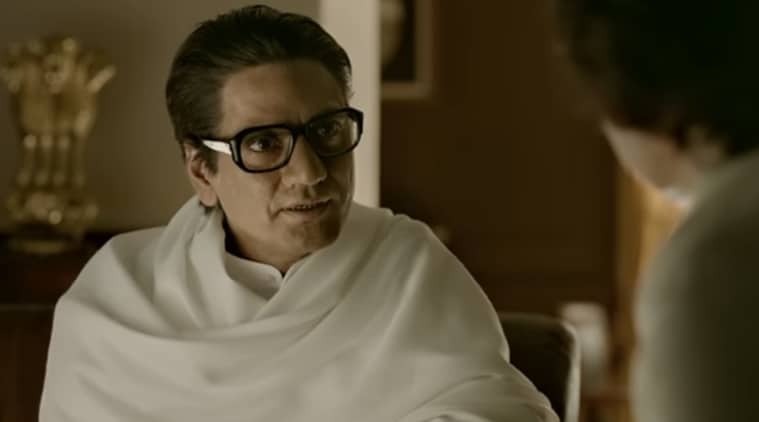 AWith a run-time of 2 hours and 19 minutes, Thackeray, starring Nawazuddin Siddiqui as Shiv Sena supremo Bal Thackeray, feels like a political sermon that goes on too long, says our review. 1 out of 5 stars for Thackeray. There is nothing in the film that can pass off as cinema. Thackeray works better in election rallies than in theatres. A lot of focus is put on making the film a tearjerker by emphasizing the aftermath of the riots, violence and fights that pretty much summed up Shiv Sena’s history under the guidance of founder, Bal Thackeray. The film is good because of Nawazuddin’s performance but it cannot be considered as one of the best biopics ever created. We’re all waiting for an unbiased, good biopic.